Find out about arts and cultural organisation with activities for young people and how to get involved with Arts Awards in Reading. 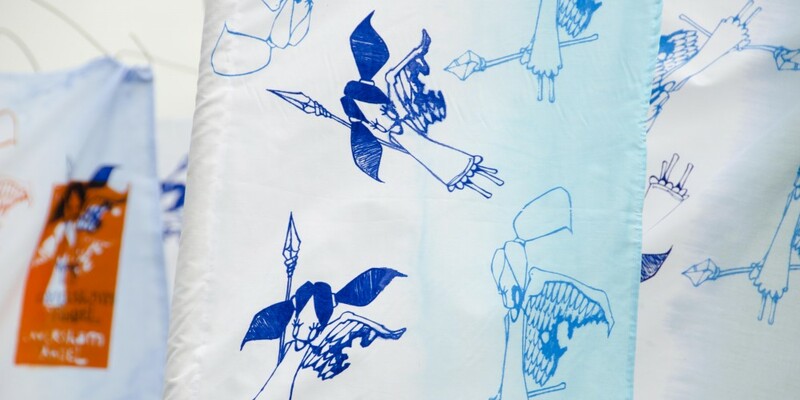 The Reading CAN networking programme was supported by Artwork and facilitated by Readipop and Jelly from 2013-2015. 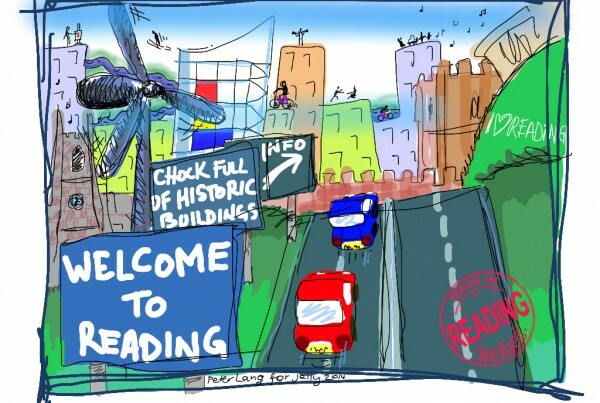 Reading needs a meaningful forum for local professional community arts organisations and practitioners to engage with each other and Reading council, local schools, youth organisations and other CYP agencies to ensure scarce funds are used effectively, opportunities are not missed and that local providers are visible to local commissioners. Reading’s arts and cultural sector has remained resilient in recent years with few changes in leadership despite the many changes in local government and arts funding. Reading CAN is an open network for all who wish to get involved for the benefit of children and young people. An improvement in Reading’s cultural offer to children and young people, particularly for ‘hard to reach’ young people and areas of low opportunity. Reading based culture and arts organisations to work together to initiate and access funding for children and young people’s cultural provision. Create and support new partnerships to develop new work focusing on a cultural offer for children and young people in Reading. Work with key Reading schools to embed Artsmark and work with partners to support Arts Award opportunities. Support and embed young people’s voice in the development of the Reading cultural offer. Enhance and extend existing partnerships. November 10th: Reading CAN – What Next? Phase/year 1 evaluation. September 2012 – end October 2013The development of Reading CAN has been a positive process with tangible outcomes and broad agreement. Year 1 activity.Alongside regular Readipop/Jelly strategic planning meetings, informal networking discussions and participating in other local forums, the phase 1 programme included 5 networking events hosted by ReadingCAN. Reading CAN launch networking event. April 2013. 32 local artists/arts organisations engaged in this process. See ‘notes from Reading CAN’ below. Open Space networking event. May 2013. A smaller and more focused networking event. See notes below. Arts Awards in the Real World. September 2013. A surgery/workshop/discussion session with Helen Le Brocq (OYAP). Arts Award Discover & Explore in-house training. October 2013. Delivered by John Riches. This trained 12 new Arts Award advisors. Meet The Teachers. October 2013. A networking/discussion session exploring partnerships with schools. See notes below. Local support has been positive but we met a couple of barriers early on in the process, which led to a need to reflect on priorities and consult further with Reading Borough Council. No legacy to build on. We had hoped to extract legacy information from recent council supported programmes including Creative Partnerships projects but there was no means to access this information as key staff members have departed and council departments closed. Schools’ links to artists were facilitated by ‘creative partners’ who are no longer working locally and the relationships have ended and moved on to new things. Council web resources and communication channels have also ceased to operate so any new resource needed to created from the ground up.We held a Reading CAN steering group meeting with Kayleigh Hodges from Reading Borough Council and determined the need for a web-based resource/portal/directory/database to be a focus for the creative offer for children and young people in Reading. Reading CAN is seeking funding from RBC to support the development of an online directory and the creation of ArtsInReading.co.uk as the access point for the local arts and culture offer for young people. The successful launch event in April 2013 and subsequent Open Space networking event alongside individual discussions with local partners quickly demonstrated a perception of Reading CAN as a ‘development organisation’ where network participants had expectations that the network leaders (ie Readipop and Jelly) would work on projects on behalf of the members rather than producing network based solutions themselves.The initial ‘priorities’ and ‘snapshot’ mapping exercises at the network launch and open space networking events demonstrated both the need for networking and the potential scale of the support required locally.Our response was to clarify the purpose of Reading CAN by adjusting the programme name to ‘Culture and Arts Networking’. Our purpose is now better understood as facilitating networking activity to support and develop local cultural offer to CYP.Phase 2 will see the Readipop/Jelly leadership expand to encompass a wider steering group and incorporate a voice for young people via Jelly’s shadow group and Readipop’s DISTORTION team.The Reading CAN steering group will take the lead on key strategic consortia bids whilst other projects and programmes may be taken on by individual partners or ad-hoc consortia prompted via networking activity. Lead partners’ feedback.Readipop feedback:Bridge funding has helped support and legitimize the ad-hoc professional development support, advice, information and guidance that we were already offering local emerging artists and arts organisations by providing a context and purpose for the support. 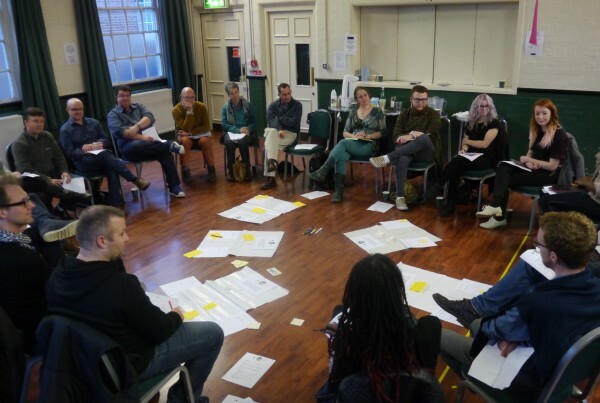 The structure of regular meetings with Jelly and further discussion with Reading Council has resulted in a well-planned bid to the council’s Cultural Partnership fund for a discrete project to support and extend the work of Reading CAN programme. The potential of accessing matched funding via Artswork helps to strengthen the bid and demonstrate the strategic context for Reading CAN and the support available to the programme. 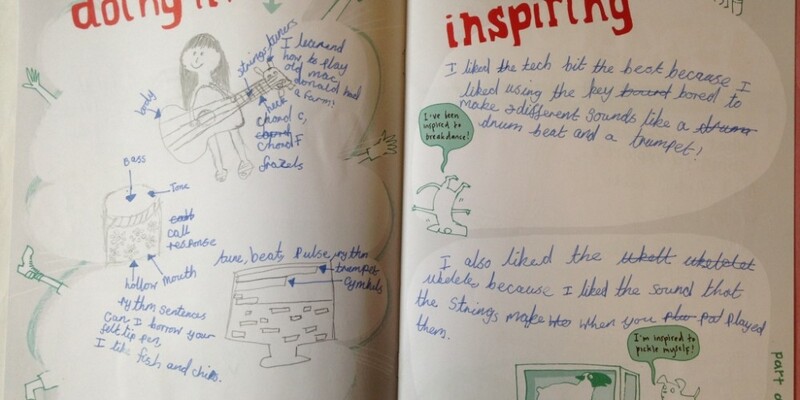 Jelly feedback:Participation in Reading CAN had a positive impact for us, giving us the opportunity to meet with peers in the arts and education, focusing ideas and planning our way forward as an organisation. The process supported us in applying for a \\\’shadow jelly\\\’ grant, which had been an idea under development for some time. Accessing Arts Award support and training with Reading CAN enabled us to create a framework to extend the opportunities for the young people we engage to work with established artists and arts organisations and encourage development of their skills. Using Jelly as a base for training and meetings has encouraged new conversations and opportunities for working with new artists and other organisations.Gavin LombosCreative Director, Readipop18 November 2013. Notes from Reading CAN, Thursday 18 AprilThese are typed up versions of the post-it notes in response to the questions we asked. Some replicate but it is a complete record from the day. What do you think the priorities should be for Reading CAN? What support do you need with arts award and arts mark? www.artswork.org.uk What are the best methods of communication? Email easiest but not dynamic, facebook groups are good, yammer? Support from Reading Borough Council- how do we manage expectations/ what or how should we be influenced by council strategy? What support do you need to access schools? Should we develop and arts strategy? Lucy Lombos – teacher, Thameside Primary school, Reading. Sarah Bentley – teacher Ranikhet primary school, Reading. Governor at Woodcote Primary, Oxfordshire. Richard Bentley – course leader music and media technology, Reading College. Karen North – deputy head teacher. Dedworth middle school, Windsor. Notes from open discussions and questions from the ‘audience’.Do you get to choose who you work with? How do you choose which artists you work with? How do you find out about new opportunities for your school and students? Are there any \\\’trusted\\\’ routes you have for finding artists? Recommendation from other schools and known organisations. Teachers want to know about successful approaches in other schools. Do you have any budget for art/creative activities? Subject budgets are small and committed a long time in advance. Eg 6 months or more before the academic year. Pupil premium. £1000 per pupil. Often used for direct ‘intervention’ to improve numeracy/literacy. School financial years run April – March. Academic years run September – August. Financial decision are taken in the March before the start of the academic year. Census day in October calculates the budget for the school for the next financial year. Eg Census in October 2013 determines budget for April 2014 for academic year in September 2014/15. Best times to talk to schools? Schools would value a chance to meet artists in an ‘arts fair’ style setting with a ‘catalogue’ of delegates. In order for teachers to attend an event within the school day there would need to be a clear professional development or training element to justify the costs of cover. The best time of year for a fair/networking event is Jan/Feb as this will influence planning in time for setting school budgets in March for activity in the following school year. How to communicate with schools. – via shadow jelly and Readipop distortion project. Youth consultation on cultural strategy. Enable local education and cultural practitioners to strengthen joint working within the CYP sector. – difficulties accessing teachers and schools. – achieved and growing. Models for sustainability is developing. AA D&E training TBC – participants have been identified. • 10 Network members will undertake Arts Award adviser training [6 x Discover & Explore, 2 x Bronze & Silver and 2 x Gold] • 10 children & young people will achieve Explore Arts Award. – This has been exceeded through the PIF programme. Arts Award training – demand has been low but interest grew from new and emerging arts leaders towards the end of the programme so Readipop aims to continue with plans to provide a D&E training programme this year. • AA D&E training dates TBC – participants have been identified at least 6 trainees will participate. • Bronze/Silver – no new trainees have been identified however we plan to review and refresh existing training • Gold – there has been no demand for Gold level training but we continue to monitor the need for this and will respond and support as appropriate. Schools engagement. This has been our main challenge. Schools engagement in networking activity and CPD beyond that directly linked to arts award project delivery has been minimal and lower than in Phase 1. Schools are very positive, supportive and interested in the Reading CAN offer but cannot free up capacity to become actively involved. Teachers are unwilling or unable to attend events when they have more pressing and higher priority issues to deal with. Arts and creative activity is not seen as contributing to their targets linked to performance related pay. If is hoped that the proposed Cultural Learning Partnership model with more leadership from head teachers and strategic bodies will have a greater effect on schools engagement. 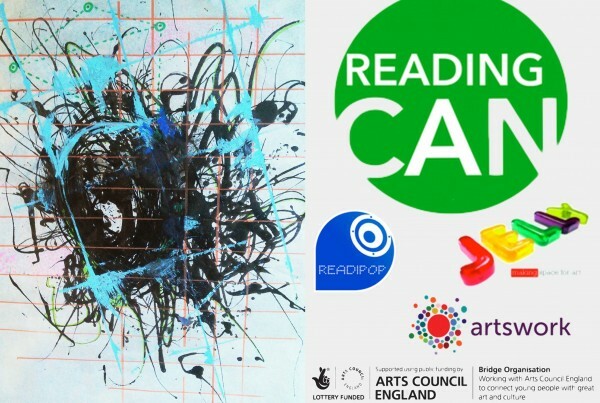 Readipop and Jelly will continue to deliver a programme of Reading CAN networking activity beyond this phase with the support of Reading Council. It is hoped that this network of artists and arts organisation can engage with the proposed CLP and work to develop schools based programmes. New partnerships are emerging. The Reading CAN supported Cultural Life event in Jan 2015 and Reflections 2015 event have highlighted the need to include an offer for CYP in the planned Reading 2016 year of culture. The process has begun and is set to develop through 2015/16. Readipop plans to deliver Arts Awards training in Summer 2015 and will continue to embed Arts Awards in our work with YP. • Leighton Park School takes part in outreach projects. E.g. Took students to Thameside School in Caversham. They are happy to work with us in a couple of weeks. We have lots of talented children in music, filmmaking etc. • The Arts Collective – Centre network of over 100 local people involving in the arts. Events program currently dormant due to lack of time/energy/resources. Help? • Leighton Park School – see post it note on ‘hard to read’ sheet; reach out events concerts for other schools. • Sound media impact What do you want? • A long term plan for AC community engagement What do you need?